Even if you dont recognize his name, you cant miss TM88. His beats under the 808 Mafia umbrella are unavoidable at this point, first fueling the Souths recent reinvention of trap music, then appearing on projects by everyone from Meek Mill to Machine Gun Kelly. The crews new tag, a screeching, high-pitched siren, is even more recognizable, especially in the wake of Futures F Up Some Commas. The TM88 kit contains 756 drum sounds grouped into the following categories: kicks, claps, hi-hats, cymbals, percussion, sub-bass and toms. 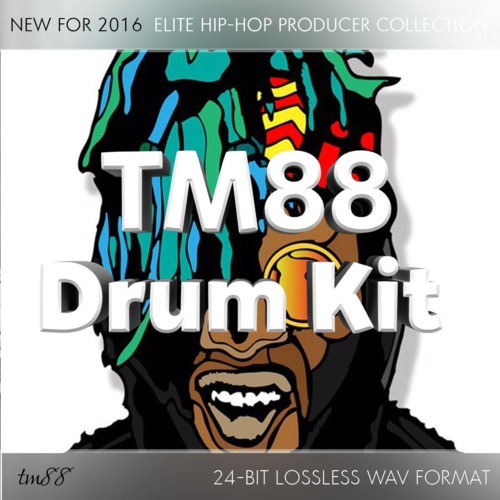 TM88 Producer Kit - Drum Sounds - 808 Mafia tm88 drum kit 278882262 23.99 loncaliproductions Fresh Download Available!